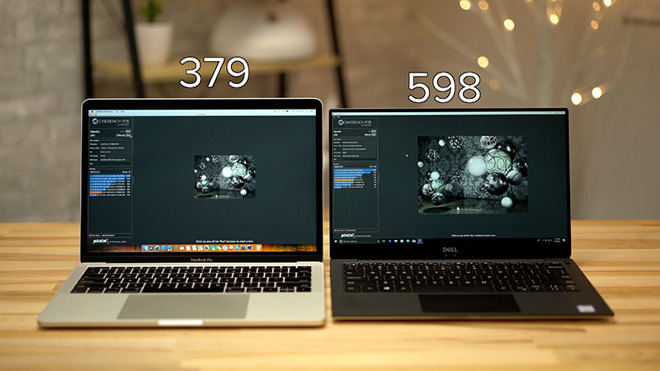 We recently pitted the base model 2017 MacBook Pro against Dell's freshly updated 2018 13-inch XPS 9370 notebook and the new Intel processors in the latter are impressive. This might be the biggest performance improvement per-watt in years, with Intel offering a true quad-core, 8 thread processor design using only 15 watts of power, the same consumption as the dual-core processor in our MacBook. Intel's i7-8550U processor in the XPS scored a whopping 13,658 in Geekbench 4's CPU test and 598 in Cinebench R15, slightly beating out the i7-4870HQ in the 2015 MacBook Pro while using just under a third of the wattage. This type of power will allow many users like myself to "downgrade" to a 13-inch MacBook Pro, which is much easier to travel with while still being able to comfortably edit 4K-resolution video in Final Cut Pro. For power users who need all the performance they can get, we'd love to see the new hexa-core i9-8950HK as an option for the 15-inch model. With base clock speeds of up to 2.9GHz and a turbo boost clock at a shocking 4.8GHz, this chip should be able cut through Apple's new ProRES RAW codec with ease, even in 4K, while maintaining the same 45-watt thermal design point (TDP). The 2016 MacBook Pro redesign introduced an updated version of the butterfly keyboard first found in the 12-inch Retina MacBook. This ultra low-travel keyboard has been a love it or hate it design for many, but one that I personally like. I enjoy the satisfying "clickiness" the keyboard offers but the extra effort needed to actuate the keys sometimes tire my fingers during long writing sessions. Using older Apple notebooks like the MacBook Air leaves me missing the longer key travel, but not the slightly mushy and wobbly feel from the uneven travel that was fixed in the new design. Recent AppleInsider analysis using data sourced from Apple repair centers suggests the 2016 MacBook Pro butterfly keyboards fail roughly twice as frequently as older models. I think we can all agree that a more reliable third-generation butterfly keyboard with a bit more key travel would be great. Even though the Touch Bar seemed cool and exciting at the time of its launch, now I'd say it's more of a gimmick than a useful tool. I was really open-minded when I unboxed my first Touch Bar-equipped MacBook Pro and I initially used the Touch Bar often enough to warrant its existence. As time went on, though, I resorted to my old habits of just using the trackpad, keyboard, and a mouse instead of Touch Bar shortcuts. When I purchased an LG Ultrafine 5K display and started leaving my MacBook Pro in clamshell mode, my use of the Touch Bar shifted to just the required taps and slides needed to adjust backlight and volume. When it came time to upgrade my wife's laptop I opted for the non-Touch Bar model. I spend a lot of time talking other users in creative industries, like photographers, graphics designers and film makers. Whenever I see or hear of someone using a Touch Bar MacBook Pro, I ask if they actually make use of the Touch Bar, but I've never received a single "yes" in response after over 30 queries. 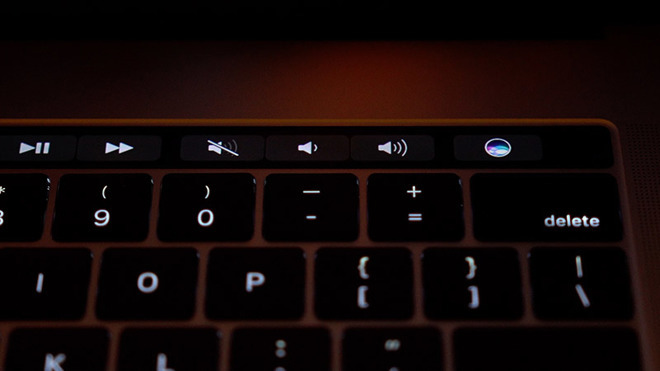 Apple needs to find a way to make the Touch Bar useful by incorporating higher-function controls, additional commands or a larger work area. If it can't capitalize on the hardware, it might be time to rethink its incorporation in the MacBook Pro's design. After a successful and promising introduction in the iPhone X, I want to see Face ID used in every Apple device I own. The convenience of not having to enter a password or scan a fingerprint is truly freeing. I can get to the home screen with a simple upwards swipe, with seemingly nothing to slow me down. I don't have to remove gloves if I'm on my motorcycle to unlock with Touch ID (the sensors recognize my face even with my tinted shield closed) with Apple also claiming Face ID is much more secure than its other main biometric authentication system. Moving back to my MacBook Pro after spending time with the XPS 13x made me realize how archaic it is to move a finger over a sensor for authentication purposes. 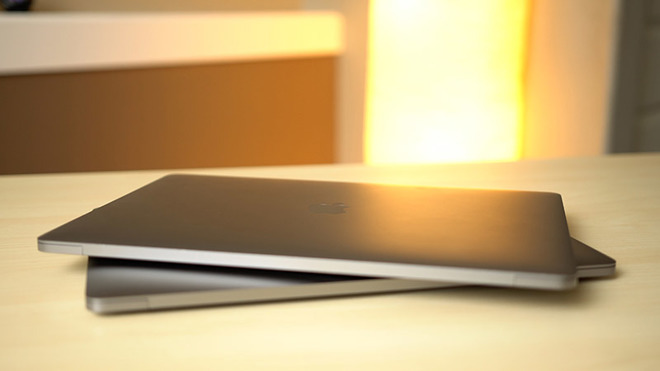 The Dell notebook included a feature called Windows Hello, a facial recognition technology that, while not as advanced as Face ID, proved a worthy competitor. As soon as I unfold the Dell XPS I'm instantly greeted with my desktop, an experience we think should be in the next MacBook. Along with effortless login, the ability to use keychain for password control and logins like the iPhone X would also make web authentication easy and more secure for most users. Apple makes point of installing cutting-edge display technology in each MacBook Pro update, keeping the device at the top of the market in terms of color accuracy, contrast and brightness. We hope they keep up that trend. 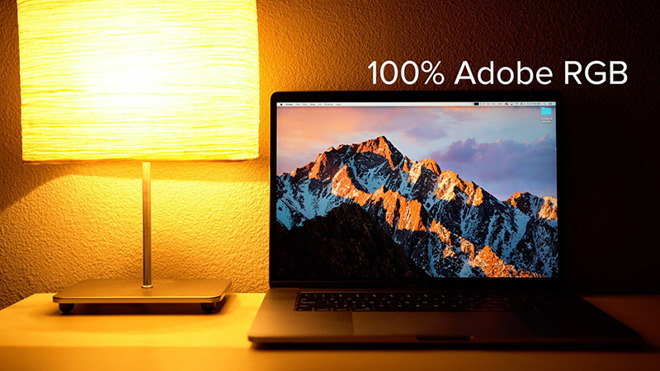 At 500 nits, the current MacBook Pro has class-leading brightness levels, which makes it usable in bright rooms and outdoors that would defeat other notebook displays. I'd love to see the 2018 MacBook Pro display gain another 100 to 200 nits of brightness matching the latest iPhones and iPad Pros. This would further reduce glare issues and allow HDR content to displayed and accurately edited. As for color accuracy, bumping up from the just over 100-percent sRGB DCI P3 panel to a 100-percent Adobe RGB version would be fantastic for those working in wider color spaces. Minimizing the bezels by stretching the 13.3-inch and 15.4-inch displays to an even 14 and 16 inches would be great as an extra refinement, so long as it doesn't interfere with the chance of Face ID. One of the biggest limitations for power users is being stuck with a maximum of 16GB of RAM, the same maximum amount available in the range since 2011. 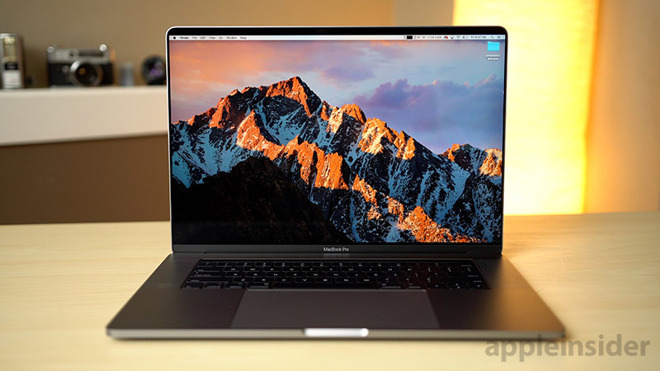 A lot of MacBook users including myself were disappointed in 2016 when Apple announced the redesigned MacBook Pro would once again cap out at 16GB due to Low Power DDR4 (LPDDR4) memory limitations with Intel's then-current chips. Apple chose to stick with DDR3 in order to use the low power variant, allowing them to maximize battery life for the new thinner and lighter models that have smaller batteries. We all hoped the 2017 refresh would offer 32GB of RAM, but it didn't. Almost a year later, the newly released 8th-generation Intel processors still lack support for LP-DDR4 memory, which Apple wants to use. It has reached a point where I would personally accept a lower battery life in exchange for more RAM. The current battery life is quite short under heavy loads, like during video editing or in graphic design, and these are areas where 32GB of memory would be really beneficial. Most users search for an electrical outlet to plug into while doing these types of heavy tasks anyway. Additionally, there are now a variety of inexpensive USB-C PD power banks on the market which output the necessary voltage and amps needed to power a 15-inch MacBook Pro during intense on-the-go sessions, making internal battery life less of an issue. Apple has been making class-leading notebooks for a very long time, and we're starting to see Windows machines catch up not only in terms of performance but in fit and finish as well. 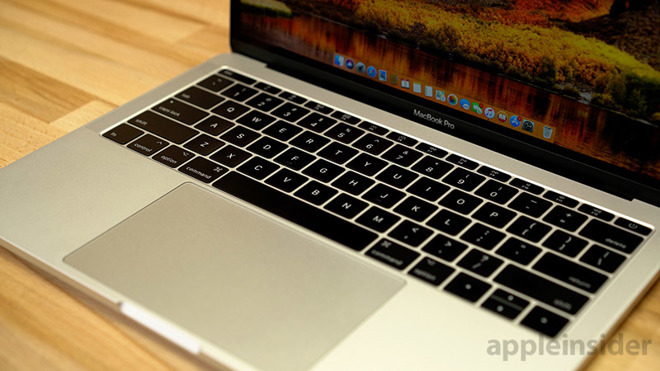 We'd love to see Apple take another leap forward with their 2018 MacBook Pro range, which can help maintain the gap between Mac and its ever-improving competition.